The attorney general would not disclose the recipients of the bonuses but said that one employee got more than $6.4 million in bonus money and that the top 10 earners got a combined $42 million. AIG, which became a lightning rod for criticism over government bailouts, said it reached a deal to repay billions of dollars it received during the credit crisis. The plan announced Thursday could return a profit to taxpayers who footed the bill for AIG's near collapse in September 2008. "This is a pivotal milestone as we deliver on our long-standing promise to repay taxpayers," Robert Benmosche, AIG's CEO said in a statement. "We are very pleased that this agreement vastly simplifies current government support of AIG." The announcement provides a clearer strategy to repay AIG's debt to the government. Until this point, AIG was primarily repaying the government as it took in money from asset sales, but there was no timeline for repayment. New York-based American International Group Inc. was one of the hardest hit financial companies by the credit crisis and received the largest bailout the government doled out. It received a bailout package worth as much as $180 billion from the government, which received an 80 percent stake in the company in return. The insurance giant was not undone by its traditional business, but instead for dealing in the complex derivatives and securities market that got so many financial companies into trouble. AIG also received considerable criticism because it continued to pay out bonuses to employees after it received the bailout, including employees who worked in the division that nearly destroyed the company. The government stepped in to rescue AIG because the insurer worked with hundreds of financial institutions throughout the world. The government believed at the time that a collapse of AIG would further hurt the already fragile credit markets, which had been shaken by the bankruptcy of Lehman Brothers. As part of AIG's exit plan, the U.S. Treasury Department will swap preferred shares it currently holds in AIG for common stock and then sell those shares over time. AIG will also repay loans it received from the Federal Reserve Bank of New York as part of the deal. As of June 30, AIG still had $132.1 billion in outstanding aid from the government, including $49.1 billion in loans from the Treasury Department. The new shares will give the Treasury a 92.1 percent stake in AIG before it begins selling shares. In Washington, Treasury Secretary Timothy Geithner praised the agreement that was reached. "The exit strategy announced today dramatically accelerates the timeline for AIG's repayment and puts taxpayers in a considerably stronger position to recoup our investment in the company," Geithner said in a statement. The government will receive about 1.66 billion shares of AIG common stock in exchange for the $49.1 billion in preferred shares it holds in AIG. Those preferred shares were issued through the government's Troubled Asset Relief Program, which was launched to provide $700 billion to financial companies during the credit crisis. The conversion price of the government's shares is equal to about $29.67 a share. AIG shares rose 80 cents, or 2.1 percent, to $38.25 in pre-opening trading. So if the government is able to sell shares at the current trading price, it will make $13.2 billion in profit. The government could still lose money elsewhere. As part of the bailout, the government took over some of AIG's risky investments, and is exposed to potential losses related to them. To alleviate concerns about the government flooding the market with new shares of AIG, the insurer will issue 75 million warrants to current common shareholders that will allow them to buy new stock for $45 per share. 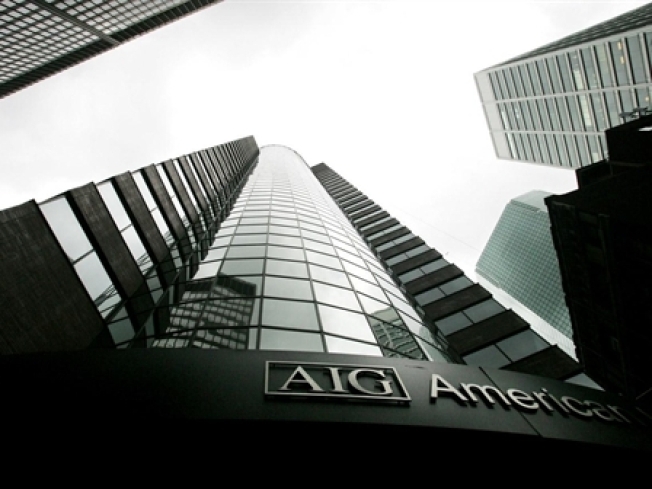 AIG owes the Federal Reserve Bank of New York about $20 billion. It plans to repay that debt, in part, through earnings it generates and the sale of some its subsidiaries. AIG has been selling some of its units since it received the initial bailout in September 2008. It is in the process of selling American Life Insurance Co. to MetLife Inc. and spinning off American International Assurance Co. into a new company. Those two moves will help cover a large portion of the money AIG owes the Federal Reserve bank of New York. AIG said in a separate statement Thursday that it reached a deal to sell two Japanese life insurance units to Prudential Financial Inc. for about $4.2 billion in cash. That money will also going toward repaying the government bailout.